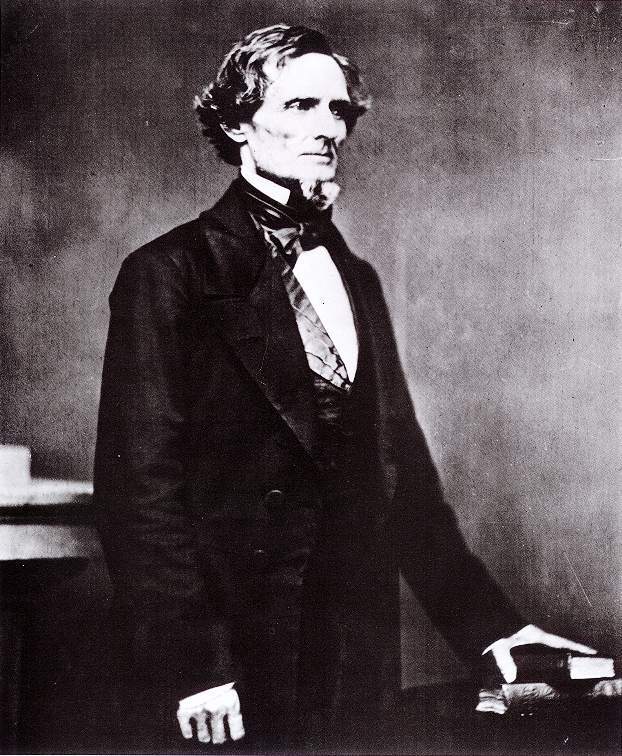 Geary County was originally named "Davis County" in 1855, after then Secretary of War, Jefferson Davis. (For extensive biography and genealogy, see The Papers of Jefferson Davis) After the Civil War, citizens of Davis County complained about living in a county named for the President of the Confederate States of America. Finally in 1889, the county's name was changed to honor John W. Geary, Governor of Kansas Territory (1856). 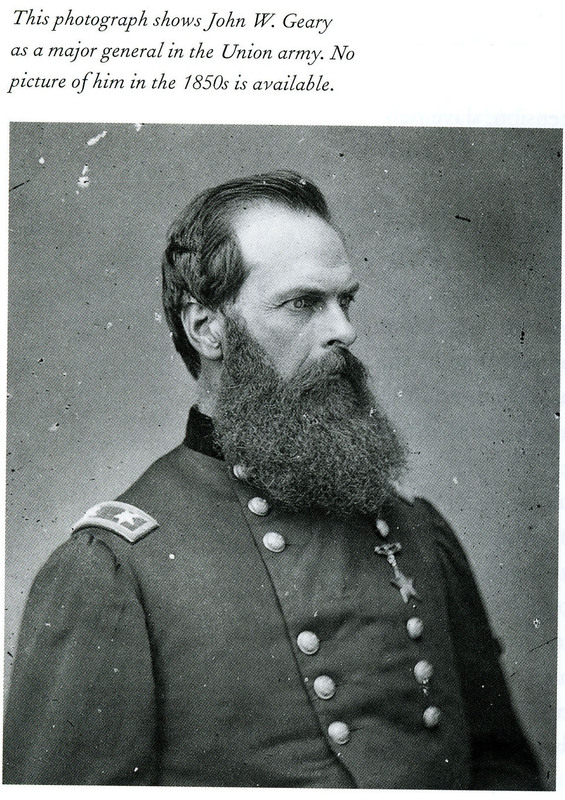 He was also Mayor of San Francisco (1850), General, U. S. Army (1861-1865), and Governor of Pennsylvania (1867-1873). 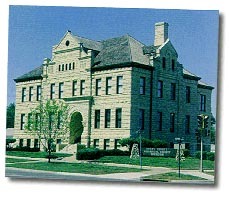 Junction City, the county seat, had four names before coming to the name of Junction City. 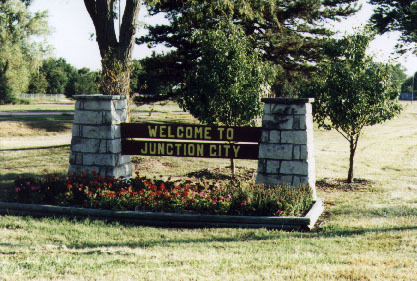 On February 9, 1859, in a special act, the Kansas Territorial Legislature incorporated the town of Junction City. Recommended reading: "An Early History of Junction City", by John B. Jeffries, 1963, Masters Thesis, Kansas State University. Fort Riley (U. S. Army) - (Highway Marker) - In an 1843 expedition, Capt. John C. Fremont, "The Pathfinder," camped at the junction of the Smoky Hill and Republican Rivers. He reported great numbers of elk, antelope and Indians. Most of the Indian tribes were friendly at the time, because settlers had not yet moved into the area. Within a few years, however, the "Great migration" along the Oregon Trail and trade along the Santa Fe Trail brought thousands of pioneers through the "Indian Territory", as Kansas was known back then. Indian war parties began raiding wagon trains as they traveled through the bluffs of eastern Kansas. It became evident that military protection was needed for those pioneers. Thus began the chain of events leading to the founding of Fort Riley in 1852. At the time it was named Fort Center - because it was believed to be the geographical center of the country. 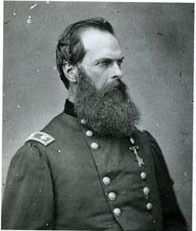 In 1853 the post was renamed after Major General Bennett Riley. Fort Riley stood as the major horse cavalry training school in our country and boasted a position as one of the best cavalry training schools in the world. The famous 7th Cavalry was put through harsh and difficult training before leaving for campaigns against Indians. From the gates of Fort Riley, the cavalry rode to such famous campaigns as: Beecher's Island, the Washita River Fight, and Battle of the Little Big Horn. You can read about the Buffalo Soldiers in the 9th & 10th Cavalry Regiments stationed at Ft. Riley. Who is researching your names in Geary County? Kansas: a cyclopedia of state history ..
(A great source of old records: newspapers, cemetery indeces, photos, etc. National Genealogical Society's "Getting Started"
Interested in knowing more about the project? Read page requirements, download sample pages and gif files to help get you started, find free web space to put your pages, lots of links for graphics and backgrounds you can use, html editors you can download, subscribe to state mailing lists and lots of other help. My name is John Matthews and I maintain the Geary County, Kansas page. While I live in Minnesota, I have roots in the county. My great-great-grandfather, James Franklin Ayars, moved to Junction City after serving in the Union Army during the Civil War. He then married Catherine Mitchell, whose family had moved to Kansas in 1854, and whose father, Henry Mitchell, owned several mills, one on Clark's Creek. His daughters, including my great-grandmother, Dollie Ayars, were born in Junction City. He and a partner opened the Bowers & Ayars drugstore in 1882, and later the family moved to Lincoln County, Oklahoma. Tom & Carolyn Ward are the coordinators of the KSGenWeb page. Contact the volunteer shown on the KSGenWeb page if you have a desire to add your data to an existing county page. The background and KSGenWeb logo displayed on this page was designed by Tom & Carolyn Ward who have graciously allowed them to be used. This page was updated 2015. User @ is visitor number since 13-JAN-1999.